Working independently under general supervision of the Manager of Administrative Services, this position performs a full range of moderately complex clerical and administrative support duties for Facilities Management Services (FMS). Day-to-day duties include preparing staff and student payroll for processing, monitoring and tracking financial information, reconciling financial data, preparing reports and projections, and providing general front office/management support such as answering telephones and greeting customers. The incumbent will also assist with converting, routing, and completing worker orders. Day-today work is performed relatively independently with general instructions, except for new assignments. This position requires experience to be proficient in performing most or all work assignments and should include administrative support, coordinating and prioritizing many different clerical tasks, applying and communicating policies and procedures. These qualifications, and those listed above, would normally be obtained through completion of a high school program or its equivalent and two years recent experience in an office environment. 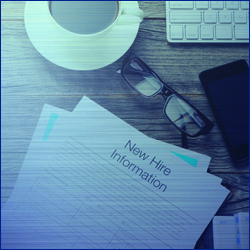 Incumbent/applicant will need to be able to perform the essential job functions (duties) of this position with or without reasonable accommodation. This position alternates between remaining in a stationary position operating a personal computer for long periods of time and frequently moving about inside and outside the office. Requires the need to travel across campus to other office buildings. This work is performed in an office environment that involves frequent contact with Facilities Management Services personnel and campus payroll department. Work is performed in a typical office environment operating standard office equipment.